Babies Tulips. . HD Wallpaper and background images in the Sweety Babies club tagged: baby love angel sylvie babies anne geddes. This Sweety Babies wallpaper contains begonia, boterbloem, butterflower, boter bloem, ranonkel, goldcup, kingcup, boter-bloem, crowfoot, and vlinder orchidee. 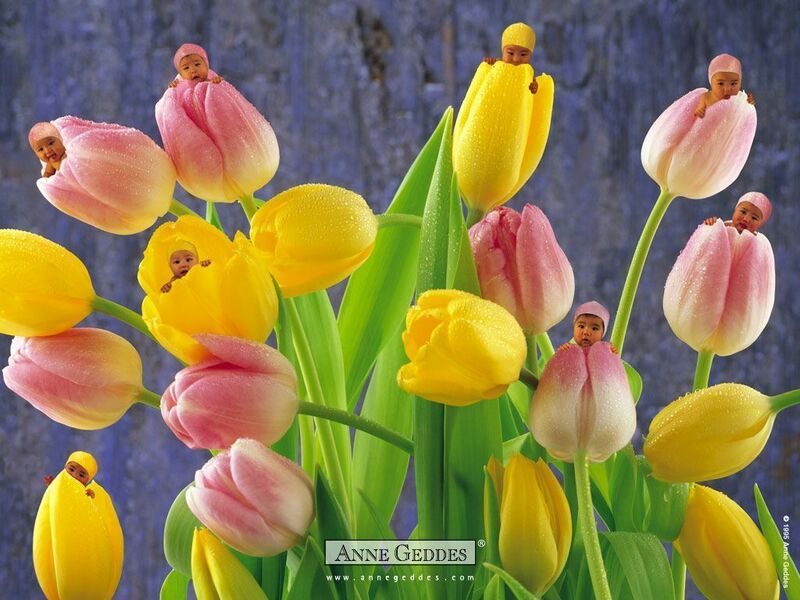 Have to love the little babies peeking out from the tulips! Adorable!